Here at Lock Stock and Burrell we provide a range of services to our customers, from routine lock fittings and maintenance right through to 24/7 emergency entry. Our 24 hour immediate response service is ideal for when residential or commercial emergencies occur. Using non destructive techniques, our emergency service will ensure you regain access to your property or vehicle. Euro profile cylinders are frequently used On UPVC doors. They come in single cylinder (one sided), double cylinder (locking cylinder on each side), and single with thumbturn (locking cylinder on one side and thumbturn on the other). They also come in various levels of security to meet your needs. You can also get a very similar cylinder to the Euro cylinder called the Oval cylinder, this cylinder is more of an egg shape compaired to the Euro cylinder. Rim Cylinder, RIM Cylinder, usually called a Yale lock. These are mainly used in conjunction with a nightlatch that sits on the inside of the door. Mortice Lock, Mortice Dead Locks and Mortice Sash Locks. These come in British Standard Insurance approved. The difference between the Dead Lock and Sash Lock is the Sash Lock has a latch on it that needs handles, the Dead Lock just needs keys. We accept Visa, Mastercard, American Express and Dinners Club International etc. We provide a 24 hour emergency service which we operate 7 days a week. If you find yourself locked out of your vehicle or property, we can help. 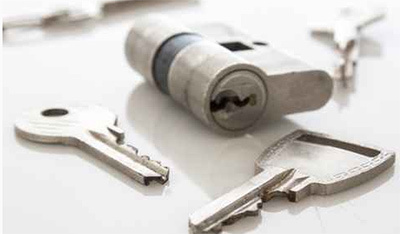 We are fully certified and trained by Train Locksmiths Ltd so you can rest assured of our professional service.